The best of Akhmatova’s own prose deals with the poetry of Alexander Pushkin. Her writings on Pushkin helped revive her verse, and guided her toward the epic decades-long labor of Poem Without a Hero. Yet her vision of prose and poetry renewing each other might also be applied to Russian literature more generally. Many of the great nineteenth century Russian novelists arise in part out of the poetry of the Pushkin-dominated Golden Age. Tolstoy and Dostoevsky spring from yet rebel against the grace and concision of Eugene Onegin. They amplify what Pushkin elegantly suggests. 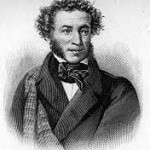 In turn, the prose that Pushkin made possible would eventually provide much of the soil for a fresh full harvest of Russian verse, during the Silver Age that followed War and Peace and The Brothers Karamazov. Akhmatova belongs to the Silver Age even though she finally transcends it. In English, the standard and indispensable collection of her prose is My Half Century, originally published in 1992 and now reissued by Overlook. It’s made up largely of memoir drafts and autobiographical fragments. It also contains some of the generally forgettable letters that Akhmatova wrote to her contemporaries. Still, the collection bristles with the scrappy force of her personality. This is the ornery work of an ornery writer. Often magnificent, if sometimes merely self-aggrandizing, Akhmatova was tough enough not only to survive her Soviet persecution but to overpower it with the strength of her art. 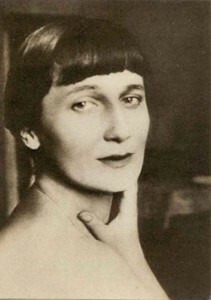 Like Pushkin, Akhmatova achieved enormous success with her early verse. She left Tsarskoe Selo in 1905 when her parents separated. Then she attended law school in Kiev before moving to St. Petersburg in 1910. She was, she says, “already writing the poems that went into my first book,” Evening, published in 1912. By then she was in her twenties and belonged to the recently formed group of Acmeist poets. The Acmeists stood apart from the more established Symbolist circle, which included two writers who are important to Poem Without a Hero: Alexander Blok and Andrei Bely. The concepts and feelings of the eighteen-year-old poet are still near and dear to everyone; young readers understand him and are delighted to recognize their own feelings and thoughts, which are clearly expressed, alive, and harmonious in his works. But as the years go by and the youthful poet reaches manhood, his talent grows, his understanding becomes greater, his feelings change. His songs are no longer the same. But the readers are the same and have only become more cold-hearted and indifferent toward the poetry of life. He creates for himself, and if his works are still published from time to time, he encounters coldness or inattention, and he finds an echo of his sounds only in the hearts of a few admirers of poetry, who, like himself, are secluded and forgotten by the world. …his attempted disavowal of [Akhmatova and Gumilev] was a concession to all the hue-and-cry about Acmeism, the allegations that it was outmoded and “bourgeois,” etc. M. was then “alone on every road,” and could not stand it. He really was in a state of confusion: it is not so simple to go against everybody and against the times. To some degree, as we stood at the crossroads, we all had the temptation to rush after everyone else, to join the crowd that knew where it was going. The power of the “general will” is enormous — to resist it is much harder than people think — and we are all marked by the times we live in. The logic of the times demanded that M. part company with Akhmatova, his only possible ally. So we need to keep in mind the complicated nature of Akhmatova’s battle for artistic integrity. On the most obvious level, she was resisting the state apparatus of an increasingly grotesque and fascist system of terror and intimidation. But on more subtle levels, the levels where she looked to Pushkin for guidance, she was engaged in her version of nearly every author’s inner struggle to discover a personal track forward through the pressures of popularity and literary fashion. We respect Akhmatova for her bravery in the face of Stalinist oppression, but we love her for finding the artistry to make great poems in her difficult circumstances. If she’s one of the twentieth century’s key witnesses to suffering and injustice, she achieved this less by being persecuted than by absorbing her persecution on the way to becoming a new and better writer. Her Pushkin essays show her going to his verse in search of her future as a poet. Her approach is detailed, practical. She examines the techniques he employed to transform his literary influences and personal experiences into his subtle, highly compressed poetry. Many of the essays seem to be showing her how to write Poem Without a Hero, and showing us how to read it. The two pieces on The Golden Cockerel describe Pushkin’s methods of sculpting a secret satire on autocratic power. He chiseled the poem, which is short and deft, from the misshapen lump of its source material, the Washington Irving story “The Legend of the Arabian Astrologer” from The Alhambra. Another essay, “Benjamin Constant’s Adolphe in Pushkin’s Work,” takes up the crucial issue of the manner in which Pushkin simultaneously satirizes and builds upon Constant and Byron. “The juxtaposition of Adolphe with the characters of Byron’s heroes had a very important and fundamental meaning for Pushkin,” Akhmatova writes. A similar point could be made about the juxtaposition of Bely’s novel Petersburg with T. S. Eliot’s verse in the formation of Poem Without a Hero. Influence isn’t a scholarly game for Akhmatova. It’s the deep set of personal relationships that all writers hold with their contemporaries and forerunners, a spiritual environment as thick with life as a forest or a jungle. There is perhaps no single work of world poetry in which such formidable moral questions are presented so sharply and complexly as Pushkin’s Little Tragedies. The complexity is so great at times that, when combined with the breathtaking conciseness, the sense is almost obscured, which invites various interpretations (for example, the denouement of The Stone Guest). Against the Soviet preference for writing that is simple, ideological, and clear, Akhmatova praises Pushkin’s ability to produce difficult art that “invites various interpretations.” At the same time, she searches for the cunningly hidden traces of Pushkin’s life and personality in the poem. She’s clearly reverse-engineering the traces to puzzle out how he shaped them, how he took the messy scraps and shards of his marital problems and built lasting art from them. 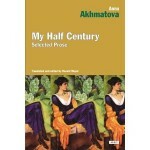 The collection includes two biographical pieces: “Pushkin’s Death” and “Alexandrina.” Akhmatova defends Pushkin’s reputation against everyone from his time who tried to discredit him during and after the events leading up to his duel with d’Anthes. She possibly protests too much, but you can see why guarding Pushkin from rumor and social malice matters so intensely to her. Pushkin’s biography was her constant reminder that even the greatest poets can be destroyed by the petty hostility of the surrounding community, and that social defeat is not the same thing as artistic defeat. While working on the Pushkin essays, Akhmatova learned exactly what it was like to experience a “civic death,” as she called it. The initial ban on publishing her poems lasted from 1925 to 1939. During the Great Terror, her son was arrested. So were Gumilev and Osip Mandelstam, who had resumed his role as Akhmatova’s admirer. Mandelstam eventually died on his way to a correction camp, after another arrest in 1938. Akhmatova’s son was also arrested again, forcing him into the torment of the open-ended and ever-changing punishments of the Soviet penal system. Both artistically and practically, Akhmatova underwent a major shift in 1940. This was when she started writing Poem Without a Hero, which would obsess her for the next twenty years. This was also when the authorities briefly allowed the publication of her collection From Six Books, only to change their mind and suppress it a few months later. Throughout World War II, her position was ambiguous. She was asked to deliver a patriotic speech on the program “This is Radio Leningrad” in September 1941, when the Nazis were blockading the city. Soon after the speech, she was evacuated to Taskhkent, and lived in a hotel along with other evacuated writers. A volume of her Selected Poems came out in 1943, and once she returned to Leningrad she was able to give public readings and publish her work in literary journals like The Star. Then the Central Committee passed a new and more openly hostile resolution against her in 1946. It remained in force the rest of her career. By the early 1960s, however, Akhmatova had survived long enough to become a potent legend. Moreover, times had changed. The Soviets couldn’t control or suppress her as fully as they’d done in the past. In 1961 she was able to bring out her heavily censored Poems 1909-1960. Then in 1963 she finally published Requiem through a West German press. The poem is her vision of “the terrible years of the Yezhov terror,” when she “spent seventeen months in the prison lines of Leningrad” after her son’s arrest. She died on March 5, 1966. Though the most commonly available version of Poem Without a Hero is dated 1940-1962, she appears to have kept working on it until nearly the end of her life. She spent more years on it than Joyce, a writer she admired, spent on either Finnegans Wake or Ulysses. Not surprisingly, the Poem is a dense piece of writing. Each verse casts a series of multiple allusions and meanings, in a hypnotic heightening of the conciseness and complexity Akhmatova had found in Pushkin’s Little Tragedies. The lines come to us with graceful yet eerie changeability. The effect is like deep-sea lights swimming up at us from beneath thick overlays of film and glass and emerald and ice, with all the colors and textures in constant stately drift. Crow wings crowding the sky. And a snob coming late makes jokes. Like the foreboding before daybreak? The first shoot (the first impetus), which I concealed from myself for decades, was, of course, a note by Pushkin: “Only the first lover leaves an impression on a woman, like the first casualty in a war!” Vsevelod was not the first casualty and never was my lover, but his suicide was so similar to another catastrophe that they have merged forever for me. The second scene, which the projector of memory has snatched from the darkness of the past, is of Olga and me after Blok’s funeral looking for Vsevolod’s grave in the Smolensk Cemetery (where he was buried in 1913). “It’s somewhere by the wall,” Olga said, but we couldn’t find it. For some reason I will remember that moment forever. In his memoirs Baron Rosen describes how he rode along the shore, attempting to find the graves of his five executed friends. Pushkin’s sorrowful interest in the place, which he describes three times (“Little House,” 1828; the fragment “When at Times a Reminiscence,” 1830; and The Bronze Horseman), allows us to suppose that he, too, had searched for the unmarked graves along the Neva shore. Poem Without a Hero is many things, but partly it’s the place where Akhmatova marks the grave of her generation, on the pages of her verse, in the House on the Fontanka. a volume which poet and critic Joseph Brodsky later described as writing of personal lyricism tinged with the “note of controlled terror”.